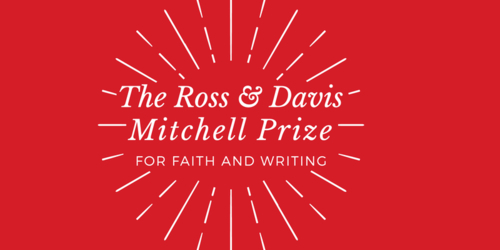 The prize will award a total of $25,000 for faith-themed writing – $10,000 to the winner and $2,500 to the runner-up in each category. The winners and runners-up will be announced on October 30th at a reception in Toronto’s Aga Khan Museum with authors, judges, and members of the Mitchell family in attendance. The reception will be open to the public and media. Tickets for the reception are available for purchase. Members of the media may request a media pass by contacting Daniel Proussalidis, Cardus – Director of Communications at dproussalidis@cardus.ca or 613-241-4500 x508. For further contest details, please, visit the Faith in Canada 150 website. Cardus is a non-partisan, not-for-profit public policy think tank focused on the following areas: education, family, work & economics, social cities, end-of-life care, and religious freedom. It conducts independent and original research, produces several periodicals, and regularly stages events with Senior Fellows and interested constituents across Canada and the U.S. To learn more, visit: www.cardus.ca and follow us on Twitter @cardusca.